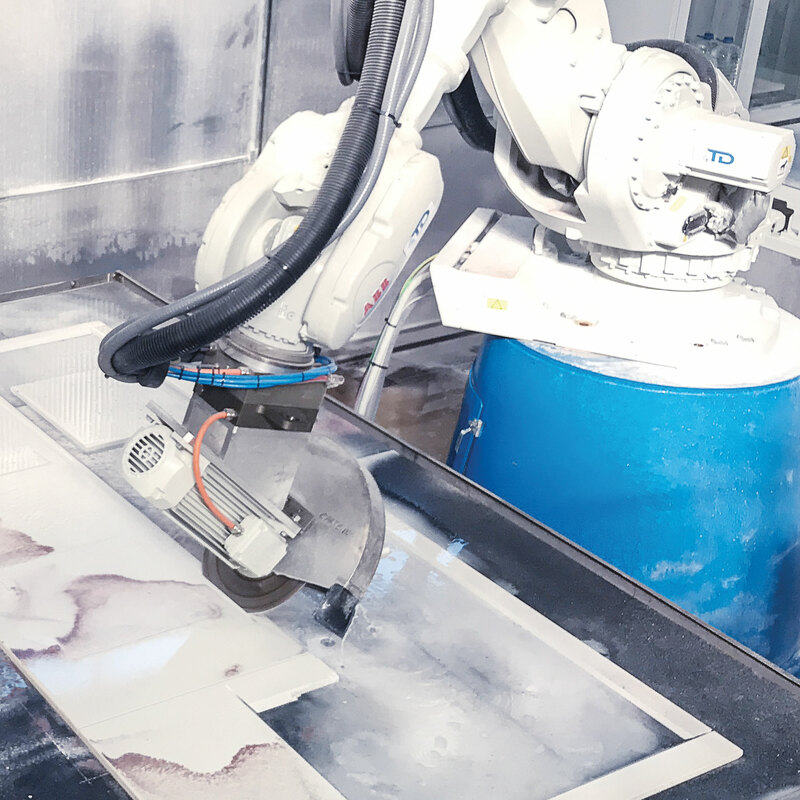 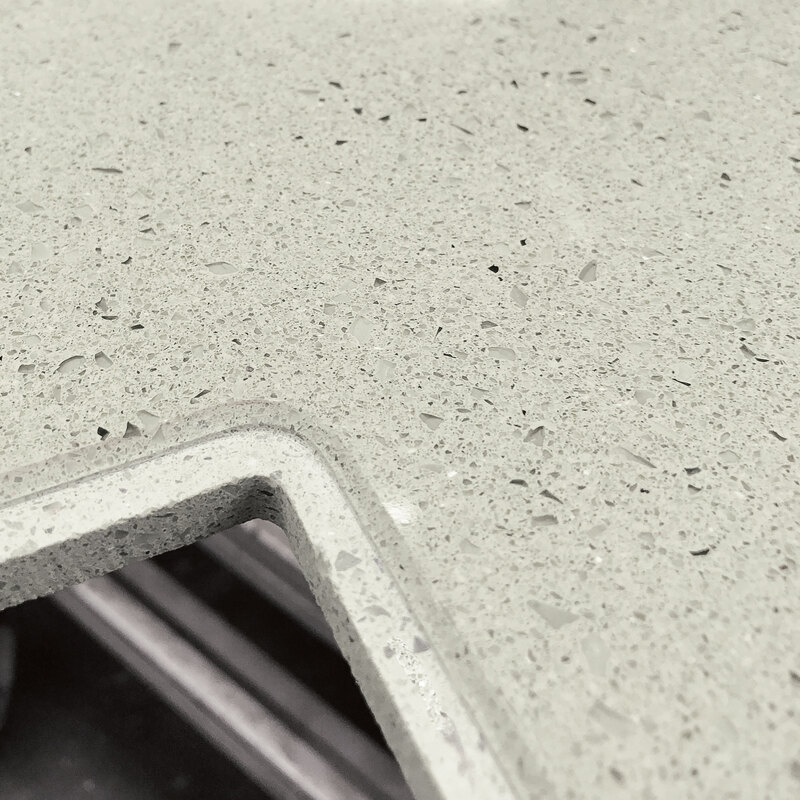 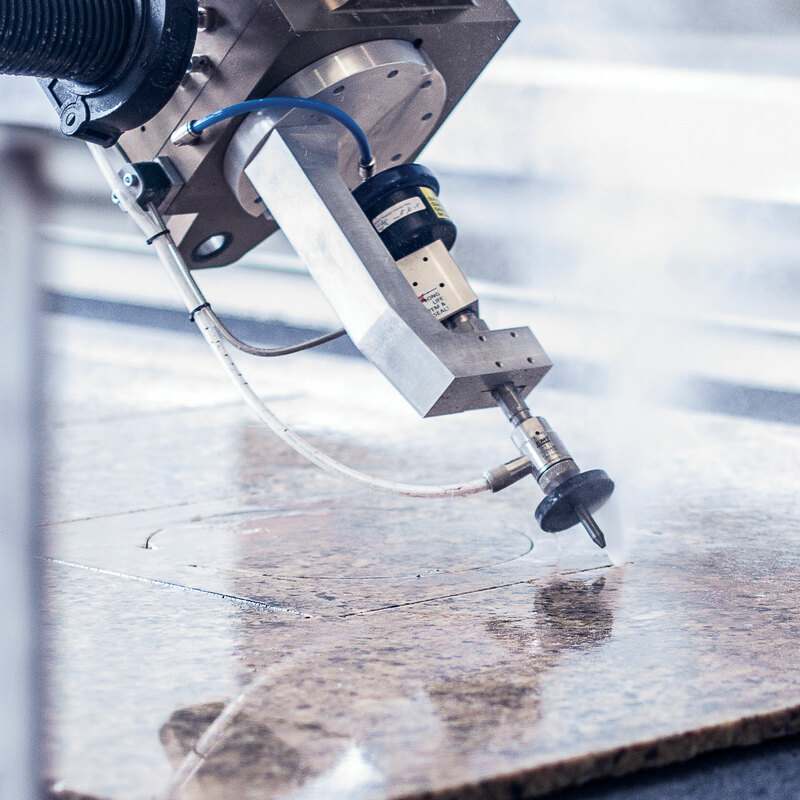 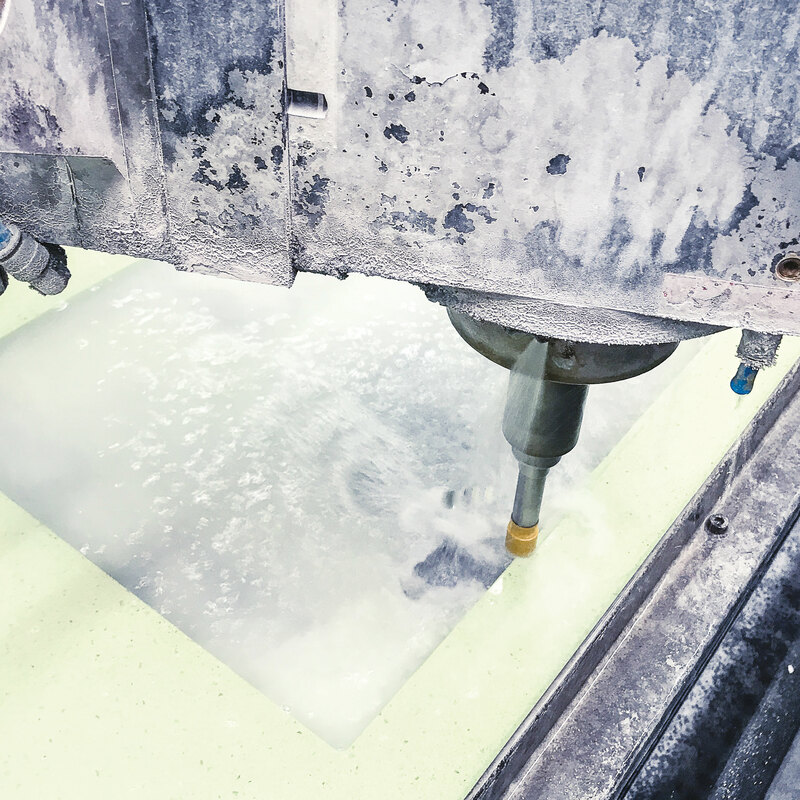 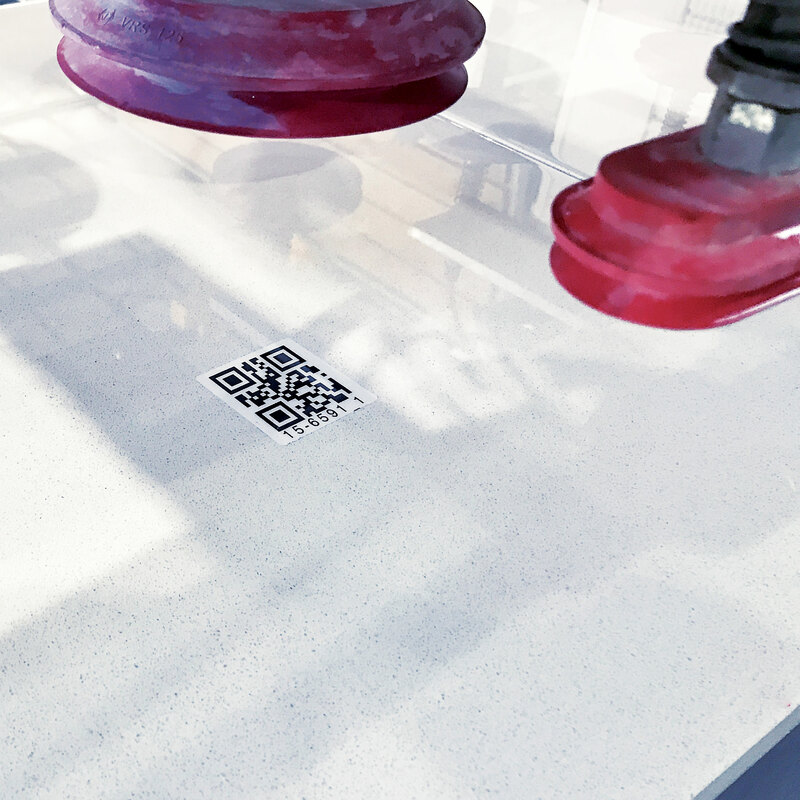 The T&D Robotics systems, designed to produce kitchen tops, are the most versatile on the market. 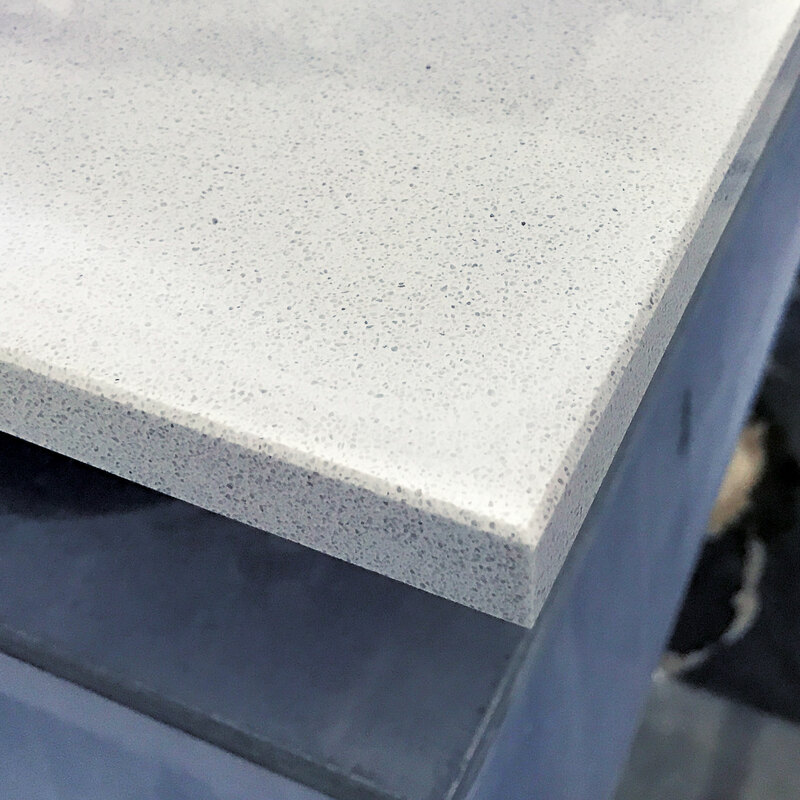 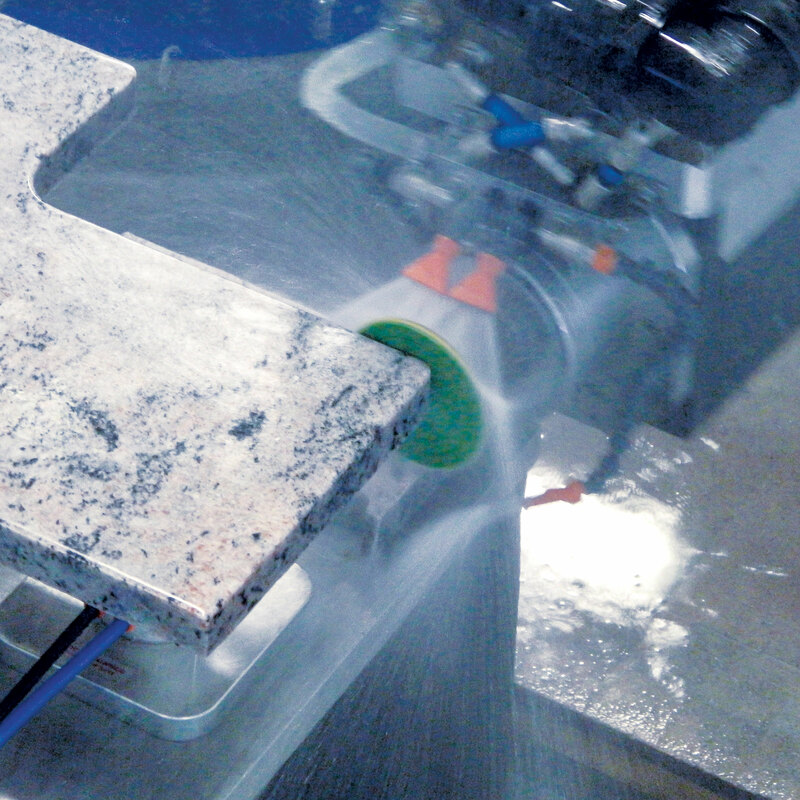 They are unique in being the result of several decades of experience in the stone industry. 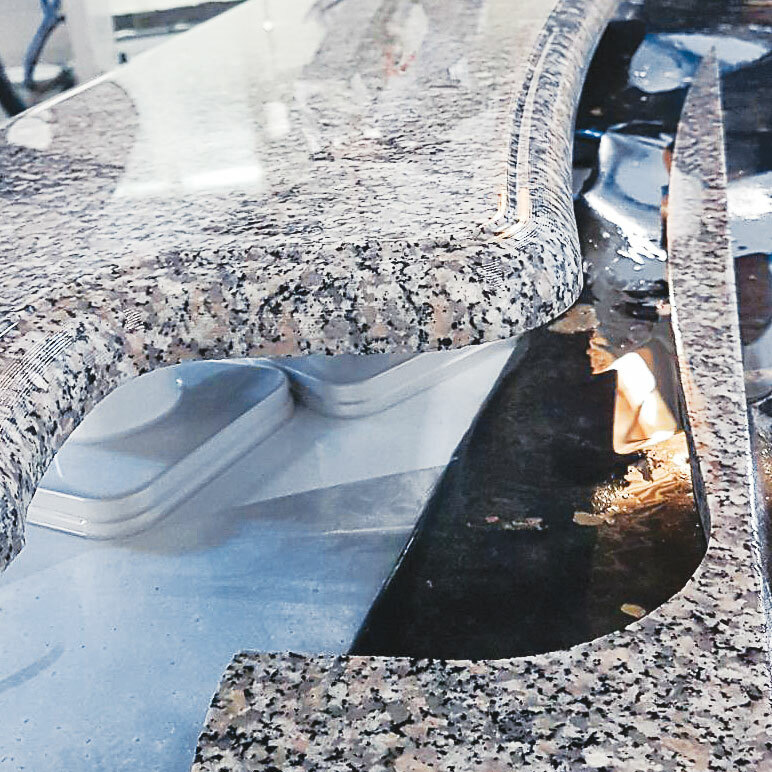 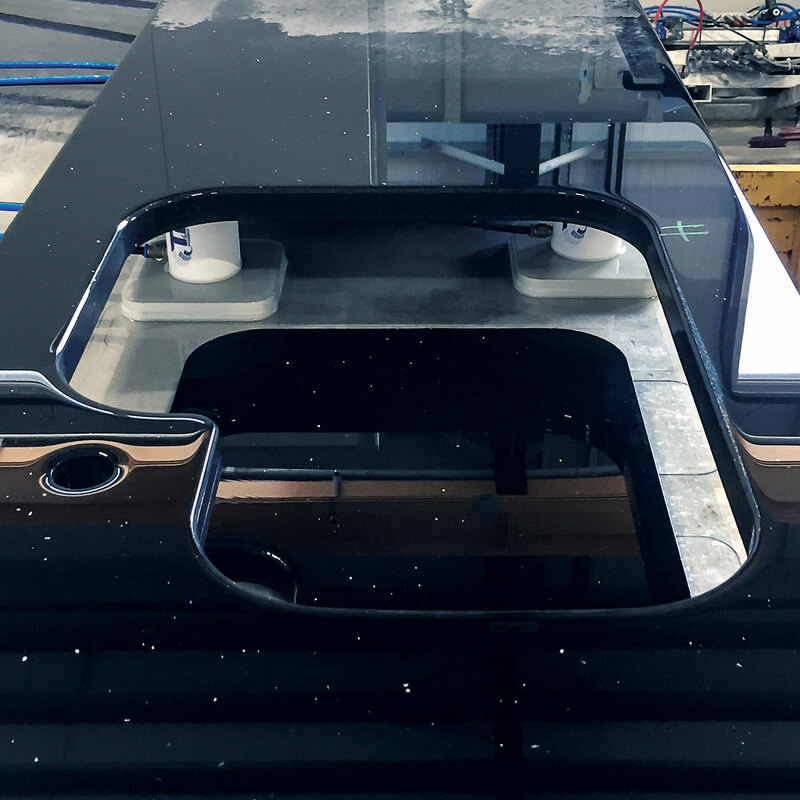 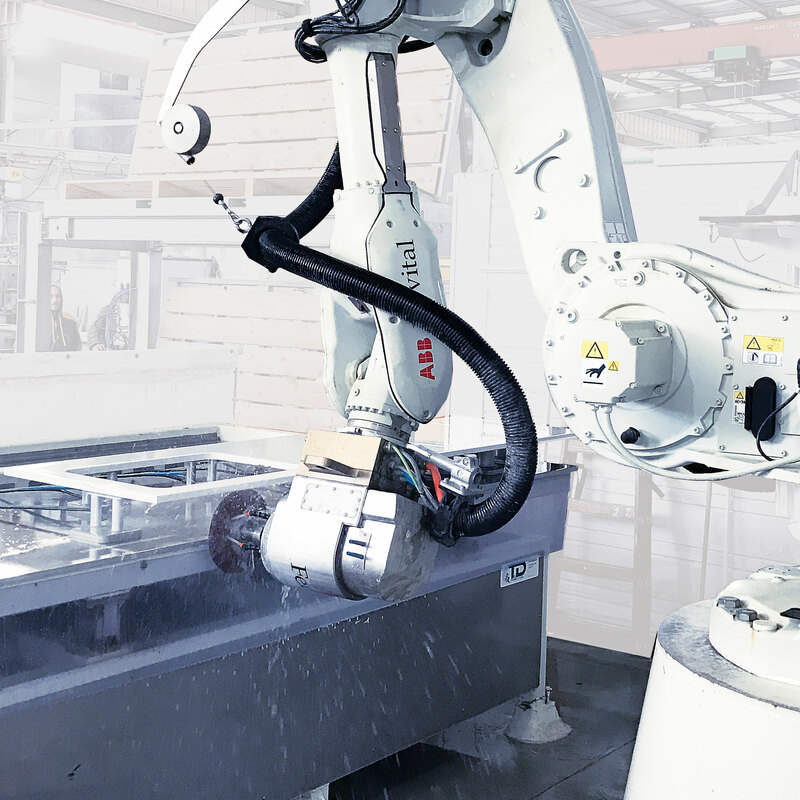 T&D Robotics has been providing systems to produce from 10 to 100 kitchen tops per day, with clients distributed all over the globe. 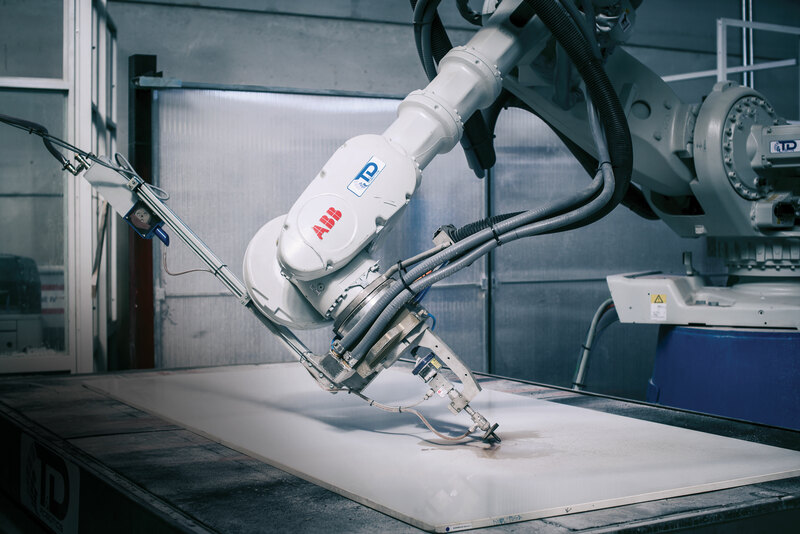 T&D Robotics is like a tailor; its staff of engineers is able to custom tailor – to develop, in other words – the best solutions for your production needs. 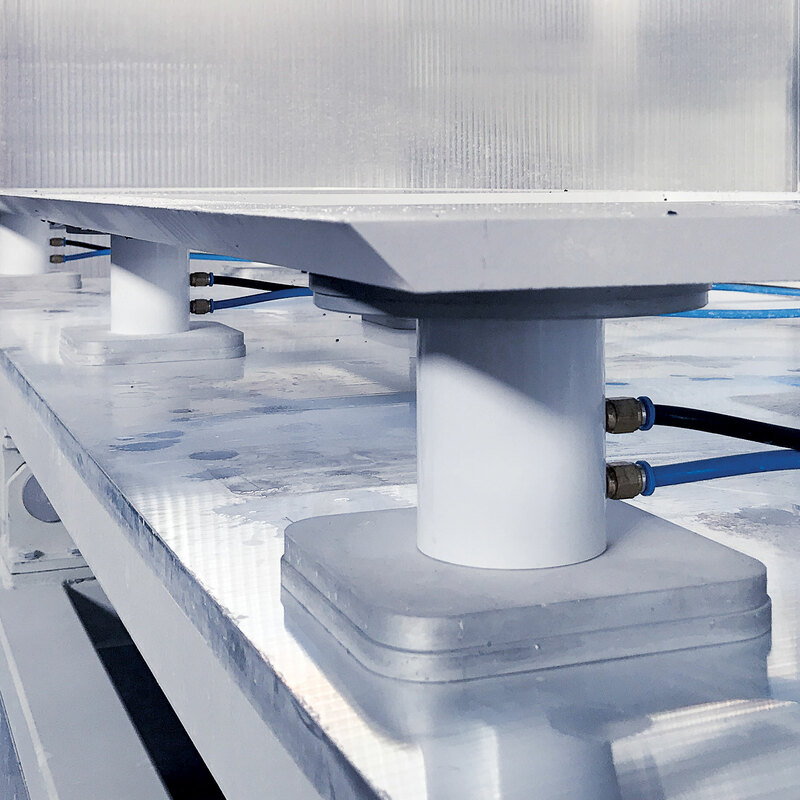 You can choose between a system equipped with a single bed and one with multiple beds, with one or multiple tanks, considering that each of these is a module on its own. 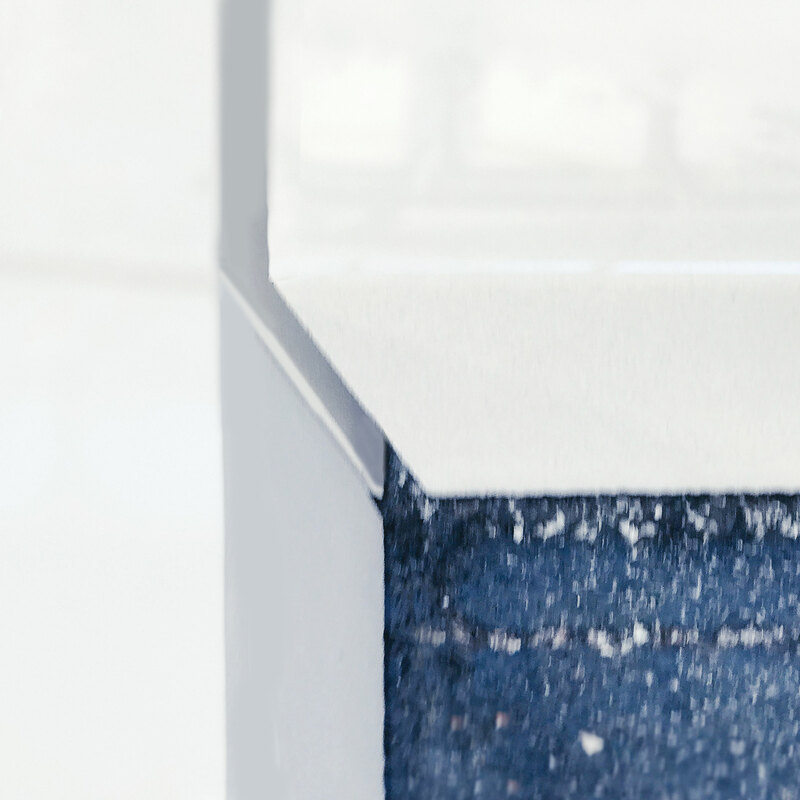 With or without a track motion device. 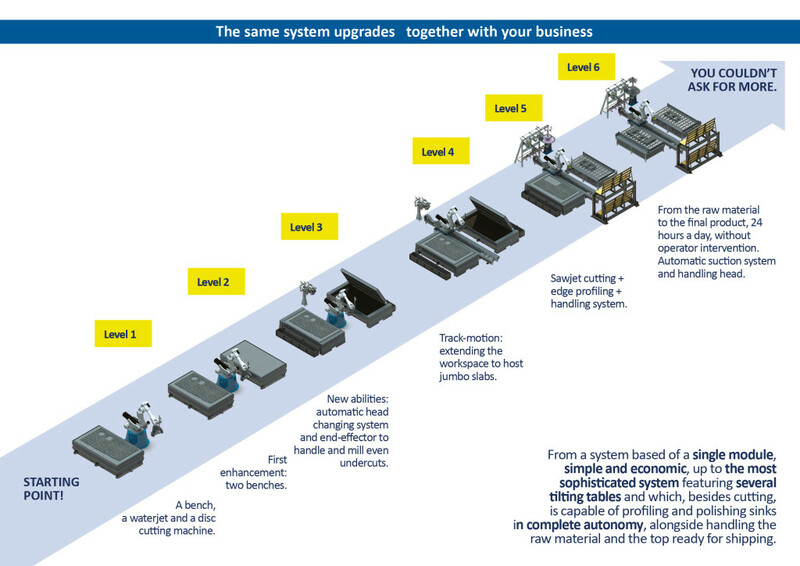 With or without the automatic head changing system. 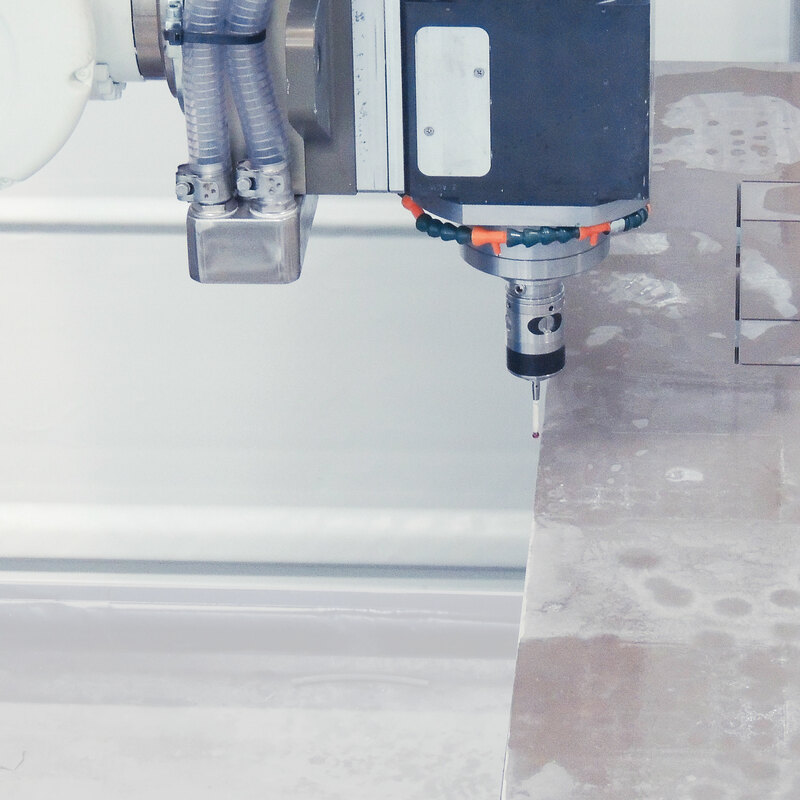 You can start from a single bed and then add, over time, further elements by choosing them from dozens of different options. 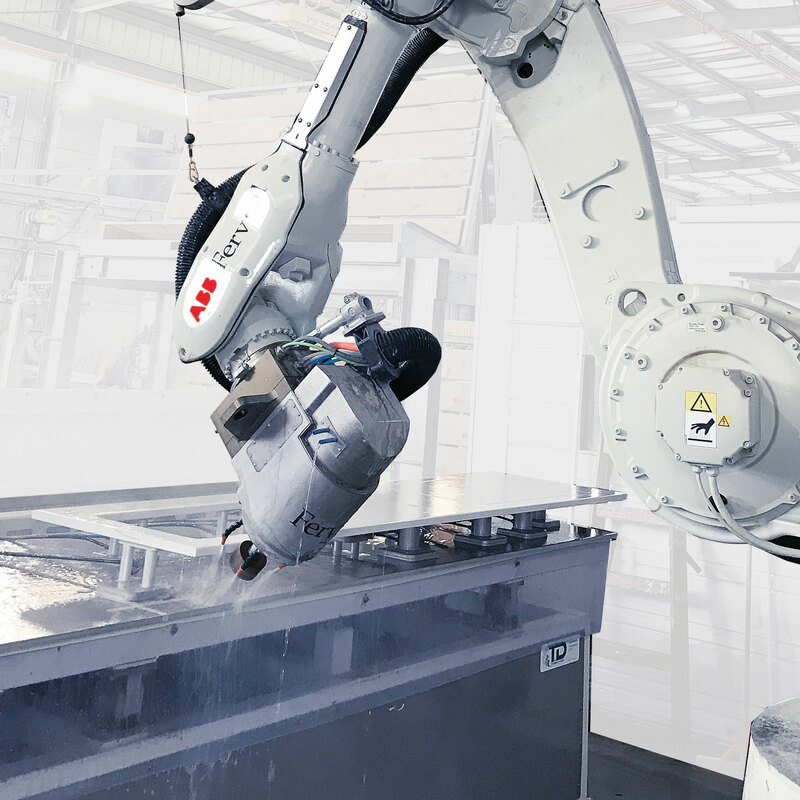 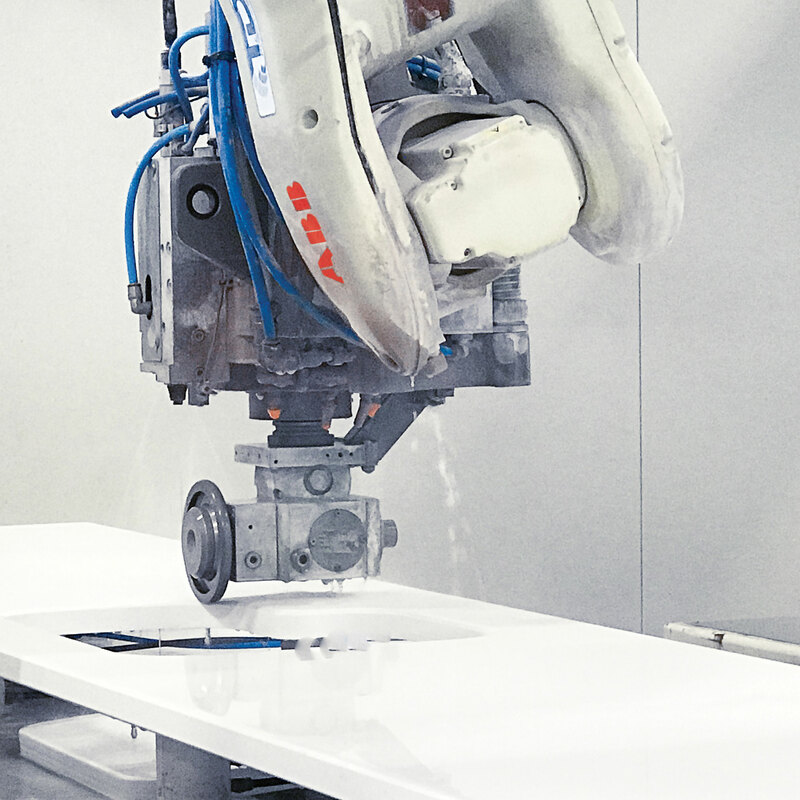 The ABB robots used by T&D Robotics to produce kitchen tops are like arms with superhuman strength and precision. 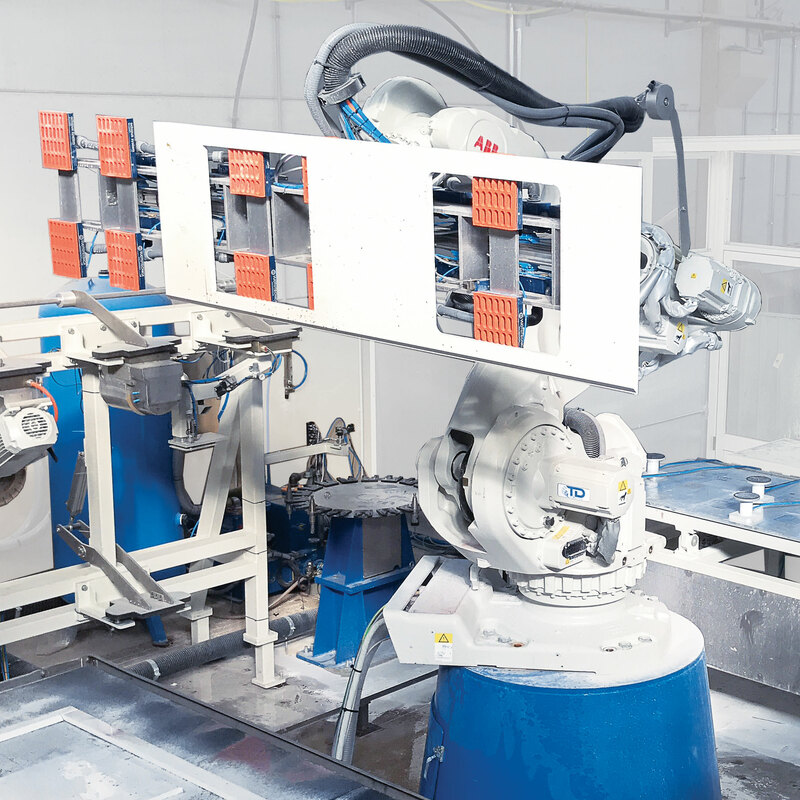 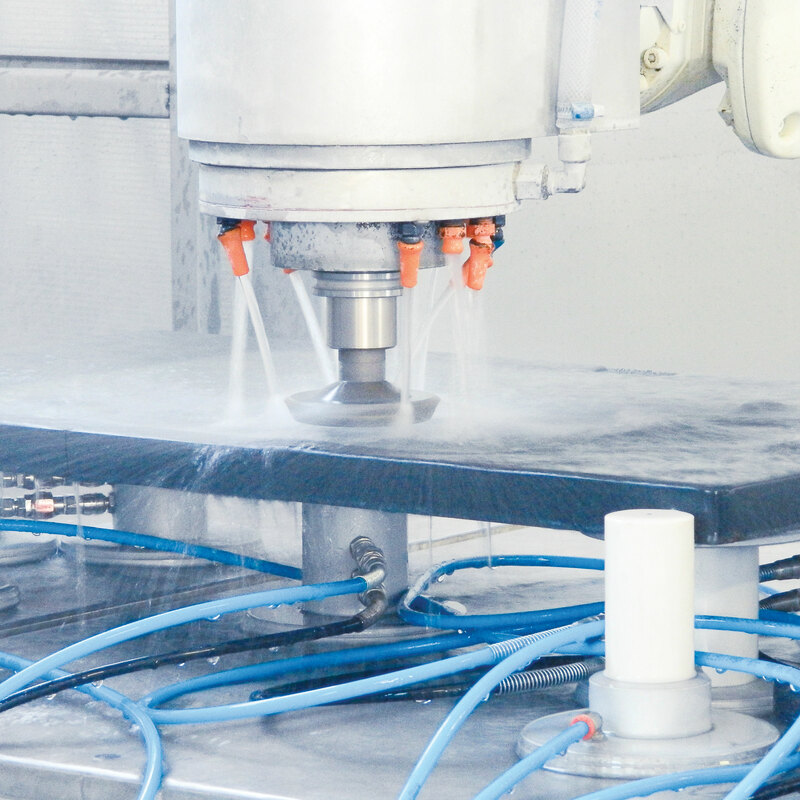 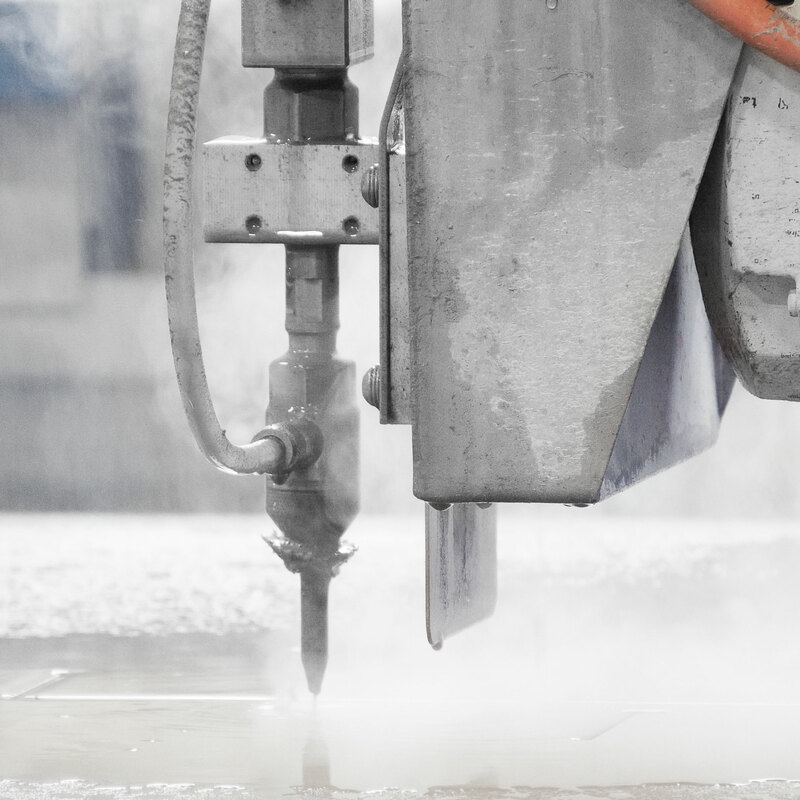 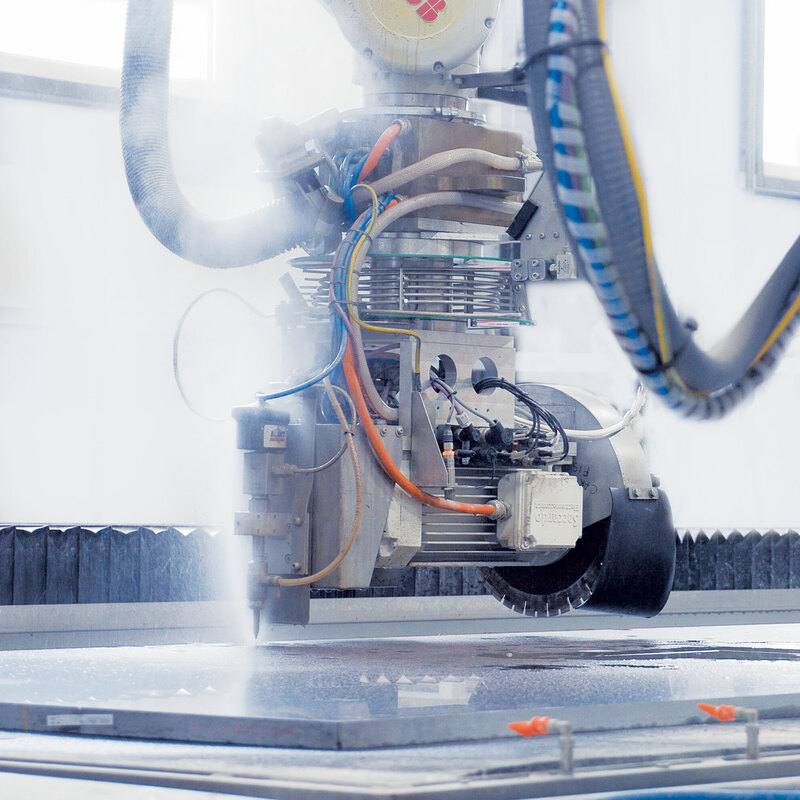 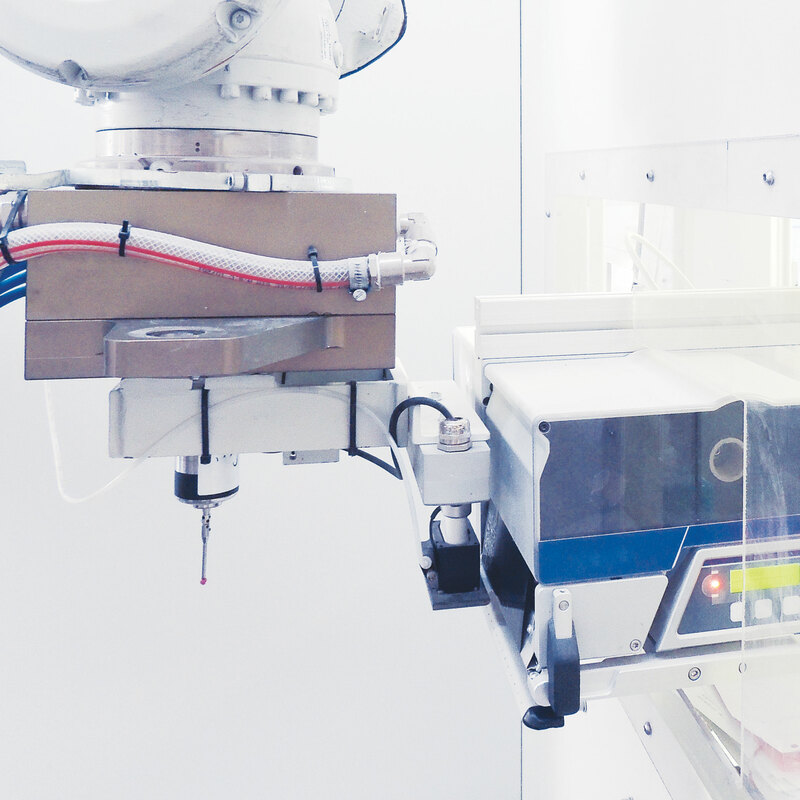 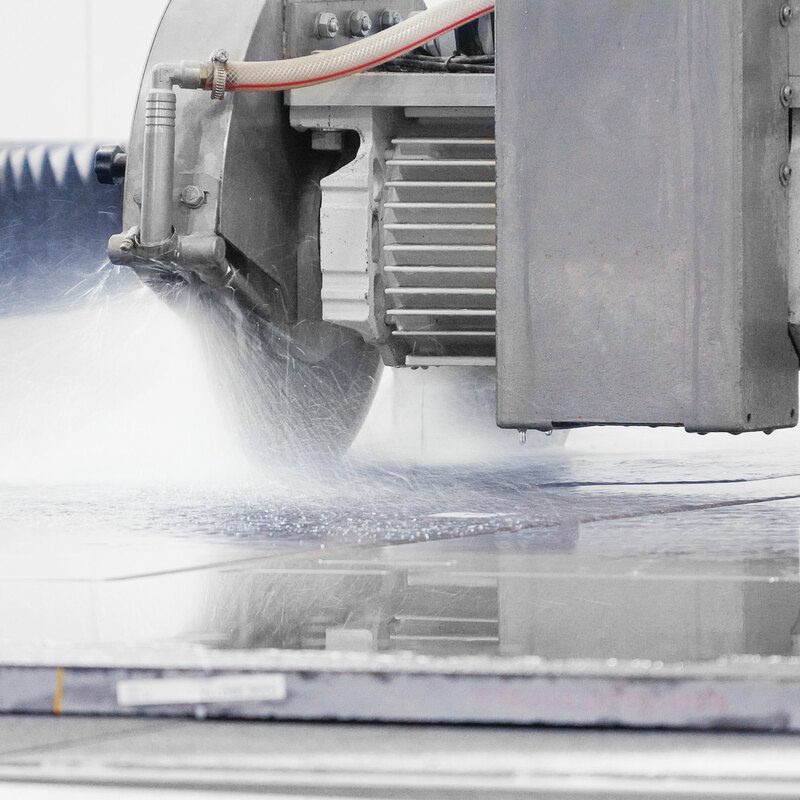 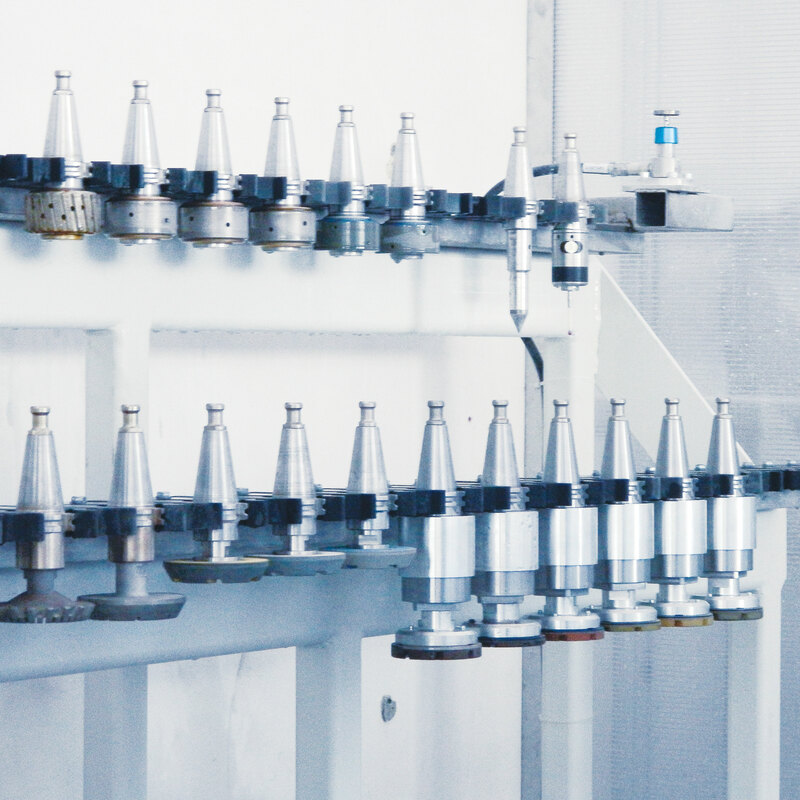 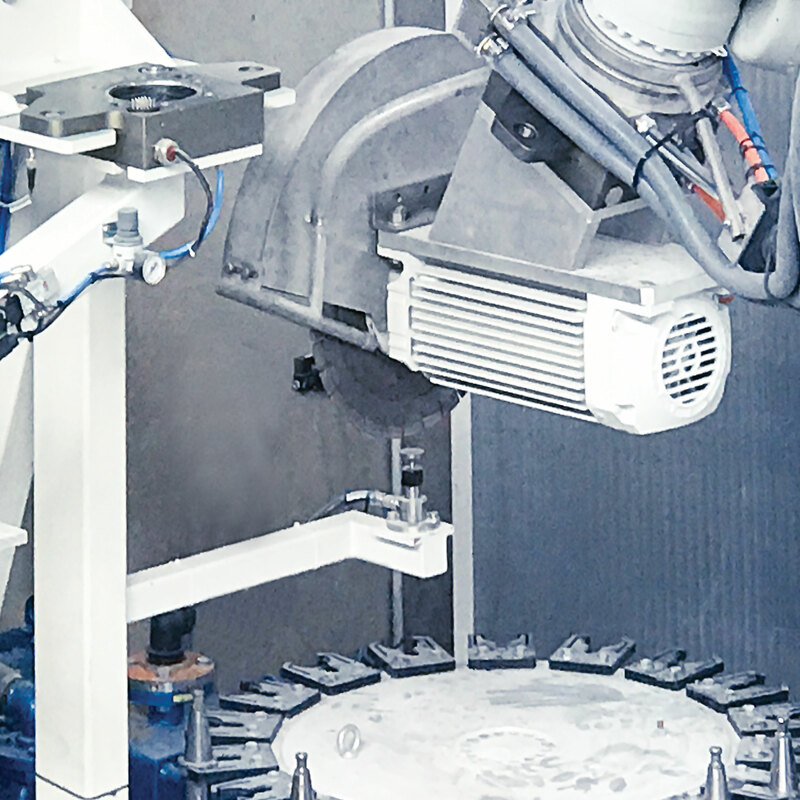 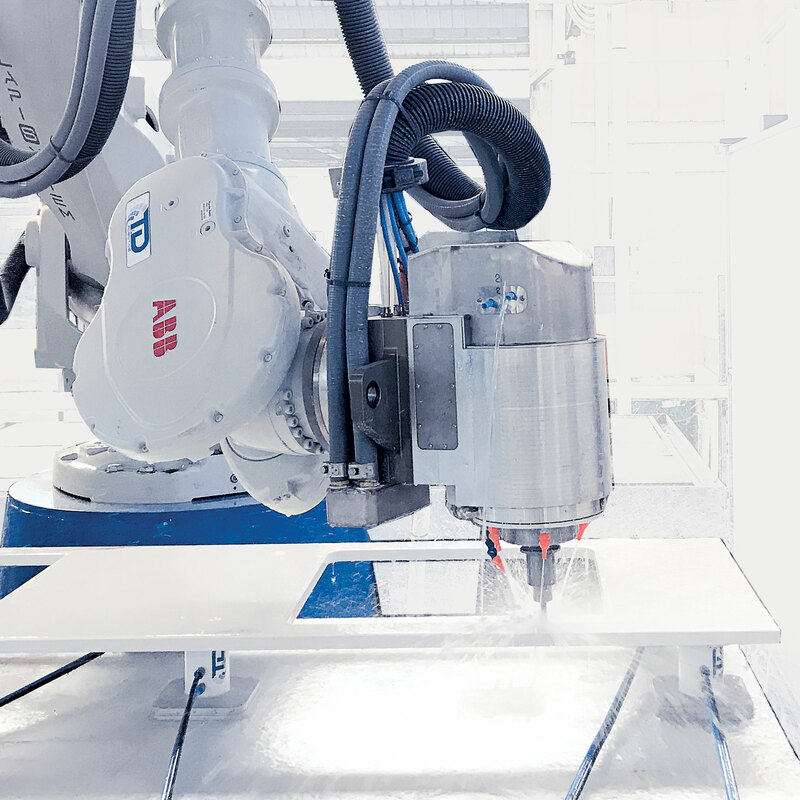 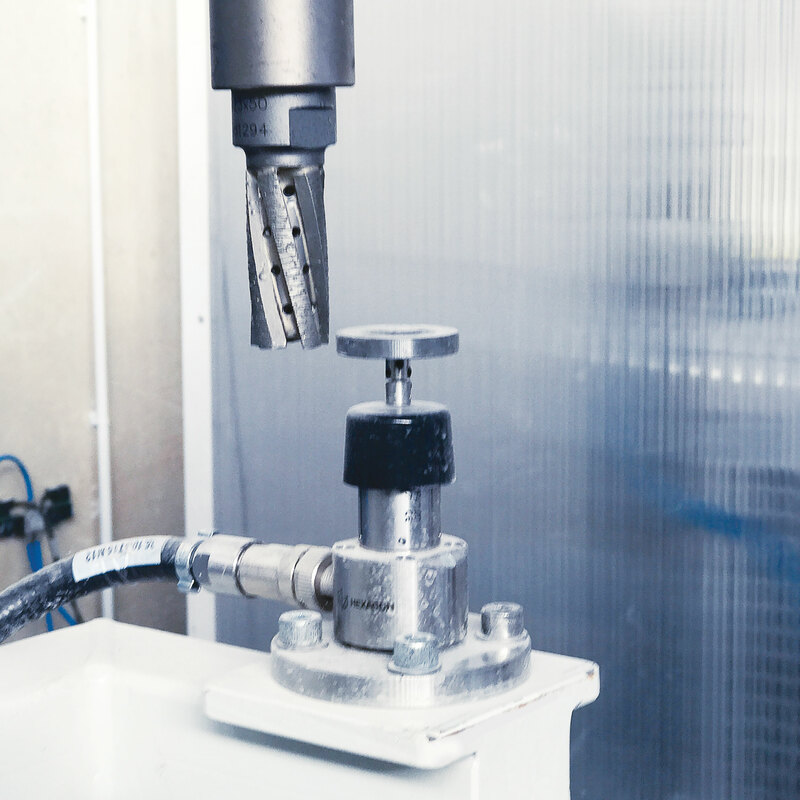 Depending on the task that the robot is required to carry out, different tools will be employed thanks to the automatic head changing system: the water-jet or the cutting disc, the electrospindle for milling, polishing or profiling; suction cups to transport the pieces, load and unload them in the warehouse. 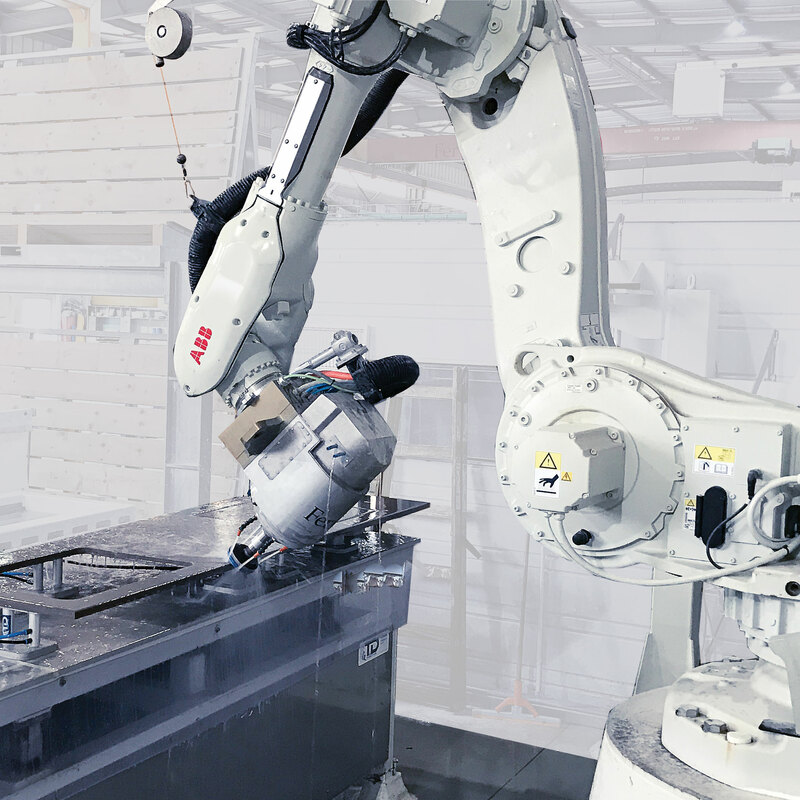 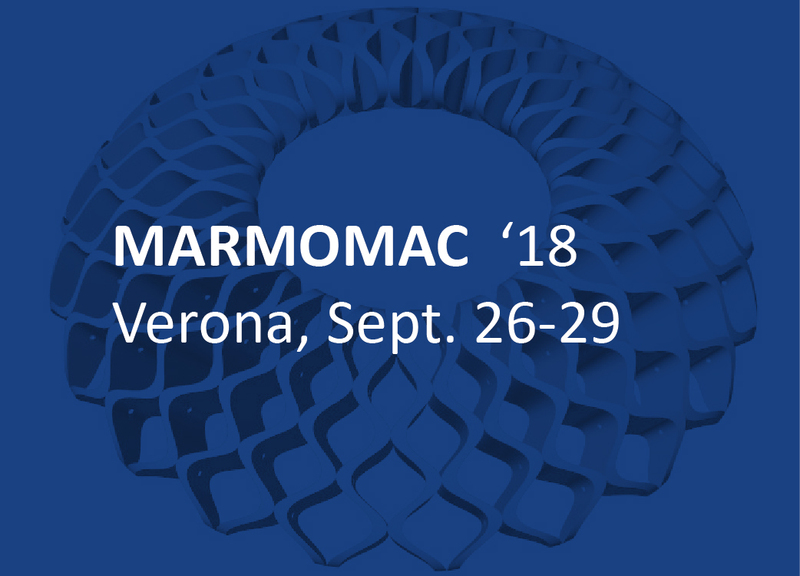 Our robots are the best solution for all those companies aiming at production versatility – those with a need to address a diversified demand and eager to experiment new solutions for the benefit of all those who are shaping their future and want to grow further.